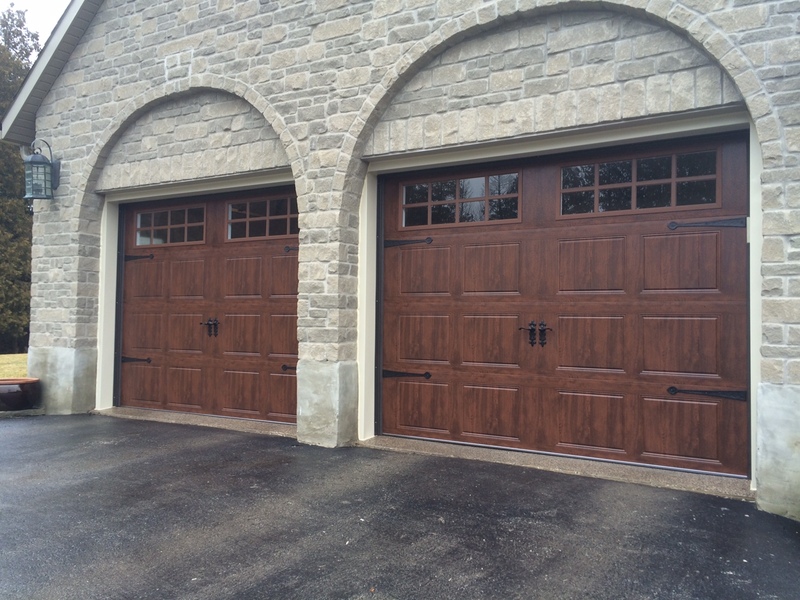 Home / Garage Doors and Openers in Guelph Kitchener Elora Cambridge / Why Won’t Your Garage Door Close Completely? At Wm. 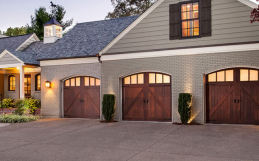 Haws Overhead Garage Doors, we have over 30 years of experience in the garage door and opener industry. 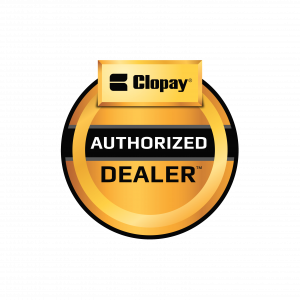 And over the years, we’ve helped our customers with everything from sales, installation, servicing and repairs. Like anything mechanical, sometimes garage doors stop working the way they should. 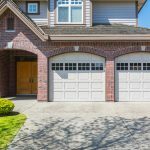 If your garage door isn’t closing completely, here are a couple of reasons that could be happening. At the bottom of your garage door track, there is a safety feature called the photo eye. These eyes, which are actually lasers, can become damaged and result in your garage door not closing. To fix this, we often talk our clients through the process over the phone. 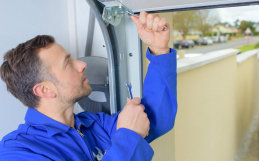 If they’re unable to fix it themselves, we’ll send a technician to get your garage door up and running again. Every garage door has springs that allow the door to open and close. These springs work on cycles, so that if you have 10,000 cycle springs, they’re likely to break around the 10,000th cycle. Broken springs are a common reason for garage doors not working properly, and if they break, they need to be replaced by a technician. The same thing can happen with the hinges or rollers. In Ontario, especially over the winter, we use a lot of salt. Our cold, snowy and icy winters mean we’re often spreading salt on our driveways and walkways to make them safer for driving and walking. Salt can spread easily, and when it does, it can cause a lot of damage. Most often, garage door cables that break do so because salt has eaten away at them. If you have a garage door opener, sometimes the gear kit needs to be replaced. If your garage door opener has started to malfunction, this is often the case. In this situation, the nylon gear just needs to be replaced – not the entire mechanism. Did you know that a newly replaced light bulb in your home can affect the frequency of your garage door opener? If you’ve recently replaced a light bulb, consider replacing it with an LED bulb to make sure your garage door opener doesn’t malfunction. We do not recommend putting the compact florescent light (CFL) bulbs in your opener because as they age they have been known to send out a signal that can jam your opener frequency. My Garage Door is Broken – Now What? If you’ve identified that your garage door has a problem, the good news is that it’s relatively inexpensive to repair for parts and labour. At Wm. 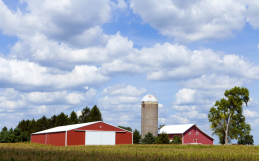 Haws Overhead Garage Doors, we strive for same-day service so you don’t have to suffer the inconvenience of a broken garage door any longer than necessary. Our trained professionals carry everything they need with them in their trucks, making them able to provide service and repair the same day. When we perform a service call, your technician will also perform preventative maintenance and inspect your garage door for any other issues. Our technicians are available to provide exceptional service to the Guelph, Elora, Fergus, Cambridge and Kitchener-Waterloo communities. Have questions, or want to schedule a service appointment? Contact us today!